2014 was definitely the best year of my life thus far. It was the year all of our life altering challenges came to an end. One thing I have learned is to really appreciate the good times because pleasures do not last forever; neither do sorrows, so when life is great, you better hold on and appreciate every single minute. 2014 started off with a bang as we rang in the new year in DC at the Four Seasons with Megan and Johnny. Shortly after 2014 began, Jonathan went to study abroad in China for a week and got back just in time to be the best man at his brothers wedding. In February, we announced our long awaited pregnancy with nonstop tears of joy and attended a Kings of Leon concert. March was spent at the beach and in April we visited San Diego and Pismo beach. We also learned we were having a BOY in April and were thrown a beautiful "Team Pink vs. Team Blue, Baby Shower" in San Diego with all our closest friends. In May, Jonathan graduated from the George Washington University and we were off on our baby-moon to Cape May after our trip to Turks and Caicos was cancelled due to pregnancy complications. We had another amazing "Around the World" baby shower thrown for us in July and in September we welcomed our first born son. Austin's birthday really was the absolute best day of our lives and I would be pregnant year around if I could, I loved every single minute of it. September and October were blessed with lots of family visits and the Marine Core Marathon. The holidays were extra special this year with Austin and we celebrated Christmas in Medford, Oregon with the whole Clark gang! 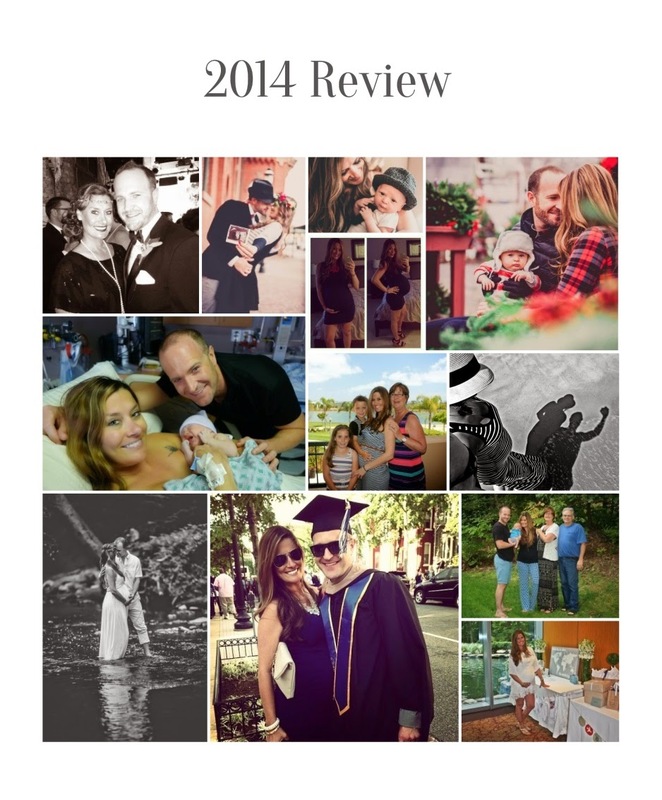 2014 was definitely a blessed year and I can't wait to see what 2015 holds for our family! !